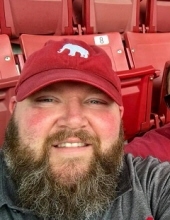 Jason Kelly Willis, 44, was born May 1, 1974 in Pascagoula, MS and passed away on July 12, 2018. He is survived by his loving wife of 12 years, Whitney McILrath Willis and their daughter Emma Riley Willis; parents, Beth Stewart Chadick and Brooke Chadick; sister, Anna Beth (Amp) Power; nieces, Isabella, Madeline, and Livy; nephew, Gus; brother, Joseph Norman Willis; sister, Tori Chadick; mother-in-law, Kathy McILrath; father-in-law, Shannon (Laurie) McILrath; brothers-in-laws, Ryan and Josh McILrath; nephews, Hayden Bullock, Harbor McILrath, and niece, Hadley McILrath. Jason accepted Jesus Christ as his Lord and savior at 10 years old. He worshiped as a member of First Baptist Church of Pascagoula with his little family. He did everything with his family, including watching Alabama Football. Roll Tide!!!!! Come to me, all of you who are tired, and I will give you rest. The visitation will be Monday, July 16, 2018 from 9:30 a.m. until 10:30 a.m. at First Baptist Church of Pascagoula. The memorial service will follow at the church beginning at 10:30 with Dr. Jay Cook officiating. To send flowers or a remembrance gift to the family of Jason Kelly Willis, please visit our Tribute Store. "Email Address" would like to share the life celebration of Jason Kelly Willis. Click on the "link" to go to share a favorite memory or leave a condolence message for the family.